The month of March flew by in Lake Arrowhead. Home sales for Lake Arrowhead are definitely moving along well. There are amazing deals out there, but you have to jump on them. Lake right homes under $200,000 are the best deals out there right now. Large homes with lake rights in Lake Arrowhead, some with Lakeview. Loan rates are still at some record lows and the inventory has a good variety. 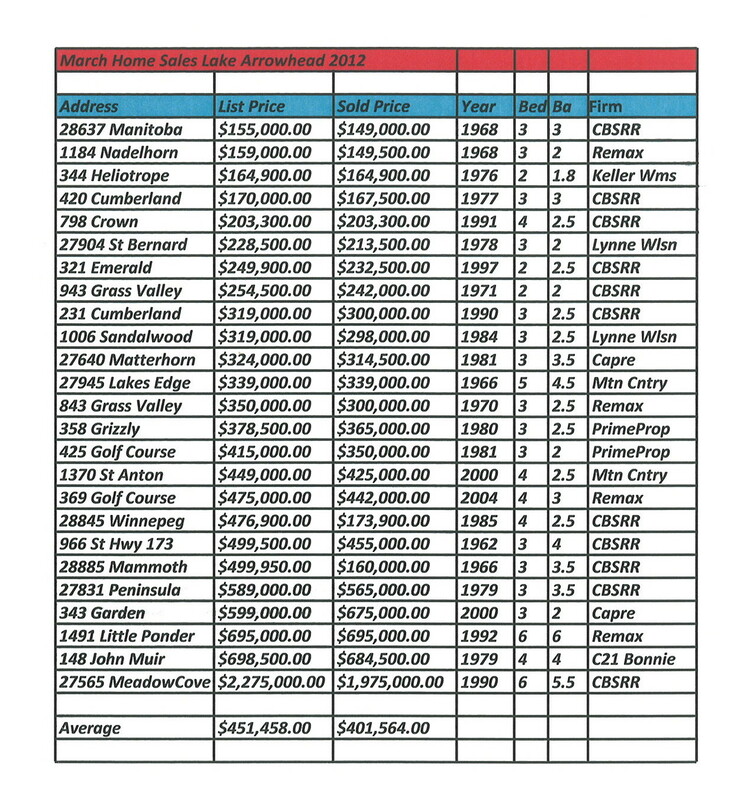 The following chart shows the home sales in Lake Arrowhead for March 2012. If you would like more information on available homes in Lake Arrowhead please contact me. All information was obtained from the Rim o’the World Association of Realtors, it is deemed reliable but not guaranteed.